Display status This work was unveiled during the exhibition 'Refugees: The Lives of Others' in 2017. Portrayed in three-quarter face view, facing left with downcast eyes, this is one of a group of a dozen portraits (three drawings and nine oils) of Auerbach’s friend Helen Gillespie, painted in the early 1960s. After being introduced to him by one of his key models, Stella West (E.O.W. ), she offered to pose, broadening his small ‘family’ of preferred sitters in this period and encouraging him to experiment. The portraits of Helen span a five-year period between 1961 and 1966, forming, as the critic William Feaver has observed ‘a tight but potent body of work, remarkable for their quality’. 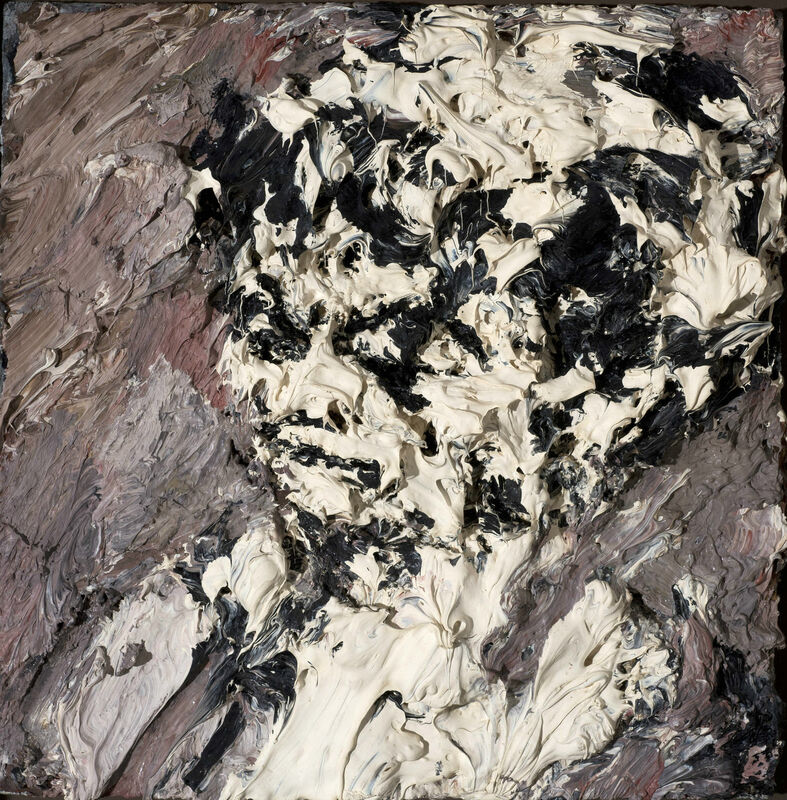 In this painting, Auerbach employs a notably restricted palette, playing with notions of light and shadow: Helen’s head and shoulders, boldly painted in white, stand out emphatically against a background in a muddy grey-brown reminiscent of the artist’s postwar studies of London building sites. Paint is applied in thick, craggy layers that build up her face; her features and introspective expression are delineated by restrained areas of black. This densely concentrated, swirling impasto creates a weighty, hewn surface akin to that of worked clay, giving the impression of a sculptural relief. This is slightly offset by the close cropping of the head at the top and far right, as well as the unguent quality of the thickly-squeezed pigment. During this period, the artist’s output was low owing to the amount of time and effort involved in each painting and the two-year date range indicates the dedication required by both artist and sitter. 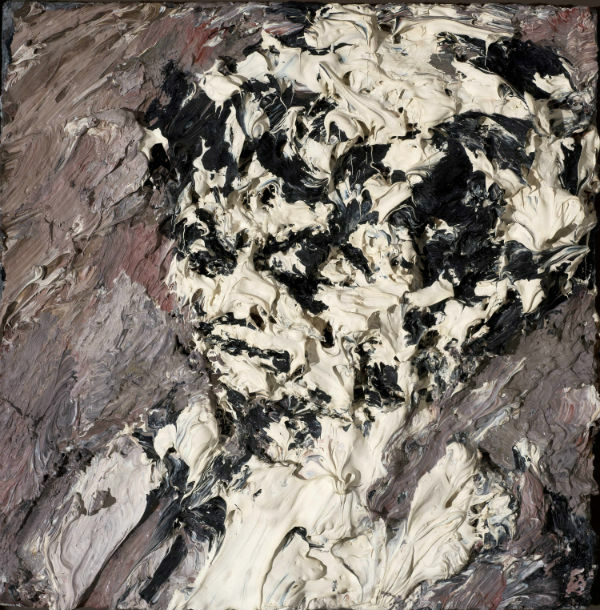 Nevertheless, between sittings Auerbach scraped down his surfaces, aiming to reveal an intense concentration on both the form and personality of the sitter even as he applied new layers: ‘All my paintings are the end result of hundreds of transmutations’, he has observed. Three of his heads of Helen Gillespie were included in his first exhibition at Marlborough Fine Art in 1965.